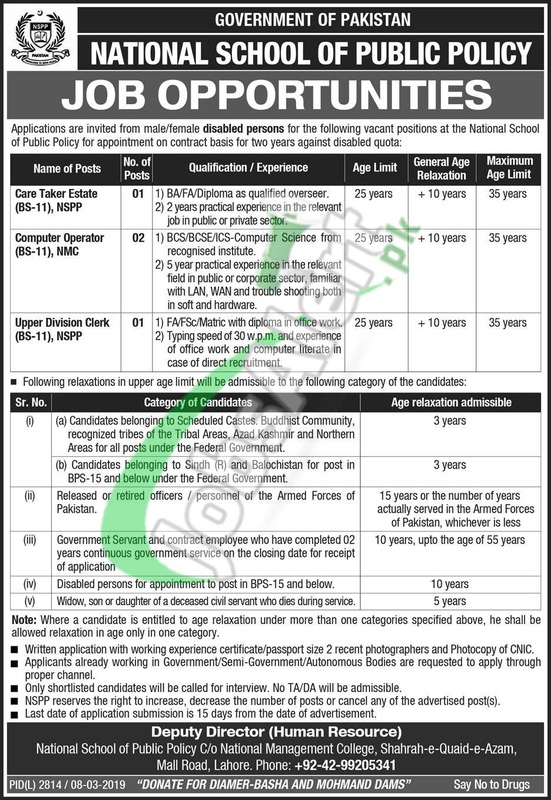 Here in the following you'll get National School of Public Policy Jobs 2019 Employment Offers announced for disabled person holding valid domicile to apply. Candidates are welcome to apply for the vacancies such as Care Taker Estate, Computer Operator, Upper Division Clerk on contract basis which is further extendable. Candidates possessing qualification from Graduation/Intermediate and relevant experience are welcome to apply on or before the last date 22nd March 2019.